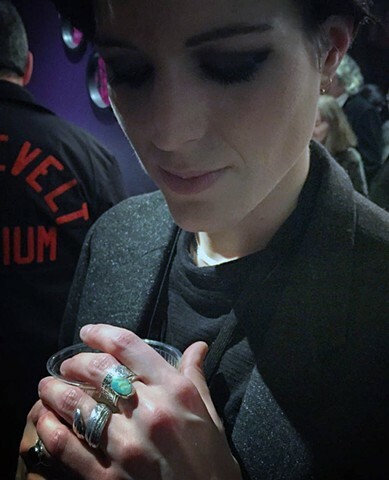 Beautiful guitar genius Gemma Thompson wearing her sterling silver cuttlefish cast wrap ring. Gemma says this ring makes a very interesting sound when when it hits the strings of her guitar. Gemma and her silver cuttlefish cast wrap ring.